Looking great in Graphite Black, the Sony Xperia X Dual SIM smartphone is here to wow. It boasts an exemplary arrangement of specifications that will blow you away. With a 5inch display that sports curved glass edges, it presents all your content in Full HD resolutions of 1080p. This display is packed with visual enhancing technologies, such as Sony's TRILUMINOS Display for mobiles, X Reality for mobile, and Dynamic Contrast Enhancement. Armed with a robust and healthy 2620mAh battery, it gives you up to two days of continuous usage, maintaining this ability even over prolonged usage. It adopts the revolutionary Qnovo Adaptive Charging and Smart Battery Management to facilitate this sustaining and long lasting battery. Your music sounds excellent with the Hi Res Audio and DNC support that the Sony Xperia X offers. It also gives you the PS4 Remote Play feature that provides remote access to the PS4 console via your smartphone. You can operate this phone with instinctual ease, thanks to the incorporation of the Google Android M operating system. Containing a plethora of sophisticated features within its lean metal chassis this smartphone is ready to unite with your routine. Sony realized that capturing those heartfelt, unfaked moments is the hardest, and hence the Sony Xperia X cameras are built to be faster and smarter than ever. You have potent dual cameras; a 23MP rear and 13MP front camera, with quicker response times and more intelligent focus that helps you banish blur. The rear camera is Sony's fastest yet, going from standby to capture in less than 0.6 seconds. Fortified by Sony’s new Predictive Hybrid Autofocus, the Smart Capture technology enables you to pick a person or object you want tracked and does the deed automatically. This means you can snap the most unpredictable moments with the sharpest detail, as your subject stays in focus, even when in motion. The Sony Xperia X features an extensive list of attributes that make it excellent for you. Its sophisticated design and ingenious engineering enclose some impressive components that include the Qualcomm Snapdragon 650 64 bit processor and a 3GB RAM. The two work in tandem to give you a performance that is close to flawless. The robust Sony Xperia X battery has a capacity of 2620mAh that gives you up to two days of mixed usage. 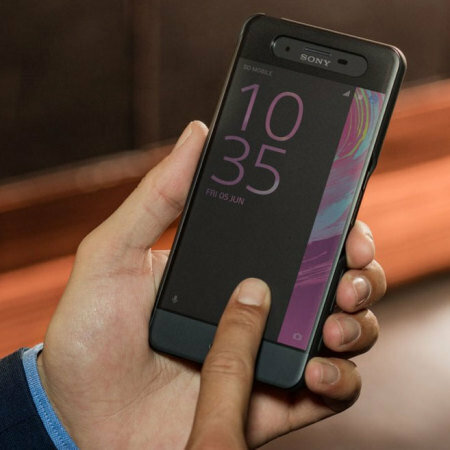 The Sony Xperia X specs can fill a page; however, some stand out more prominently than others. The 4G LTE support is one such specification that warrants a mention. It gives you access to the fastest Internet networks around, for lightning speed browsing, seamless streaming, and glitch free online gaming. All your uploads and downloads take place in a jiffy, and you can store them all on the massive 64GB of internal storage that your Sony Xperia X features. Order the Sony Xperia X today and have it delivered to your doorstep within 1-3 working days or same day delivery within Nairobi. Payment on delivery.